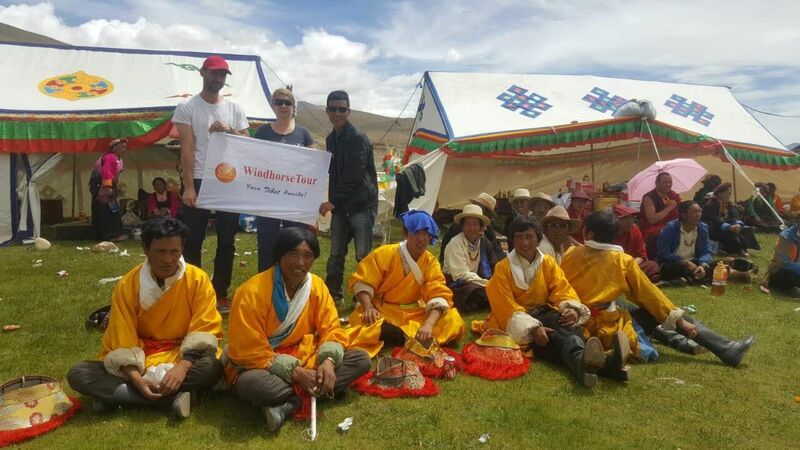 Travel to Lhasa by flight, after 2 days sightseeing in Lhasa, make the southwest overland trip to Gyantse, Shigatse, Mount Everest Base Camp, then travel north to complete Mount Kailash kora trek and visit Guge Kingdom ruins, in the end, fly back to Lhasa from Nagri Airport. Sunset of Mount Everest and Mount Kailash Kora Trek. Itinerary / Travel Plan - Good. Guide - Friendly and Knowledgeable. Driver - Smily and Safe Drive. Thanks Jampa and Lobsang for stopping at Horse Racing Festival on the road to Kailash. Everest Base Camp and Kailash Trekking.